A special livery for London Northwestern Railway services between Bedford and Bletchley has been revealed. This comes as the contract for the supply of the Class 230 units from Vivarail is officially signed. 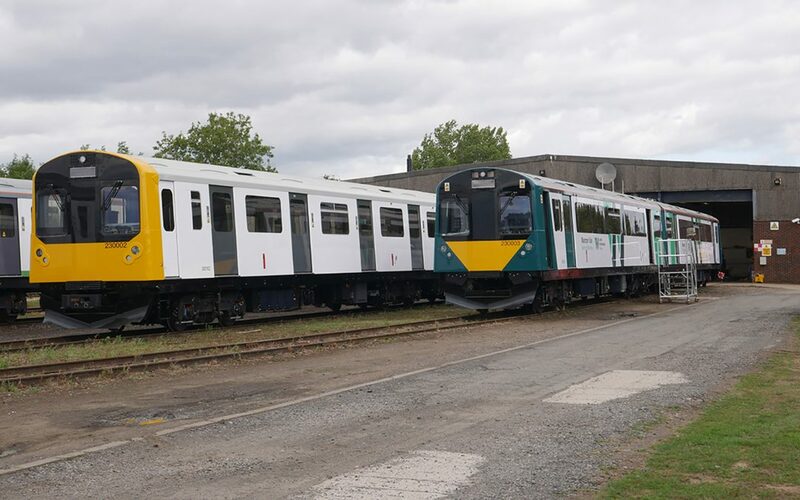 The units will start running on the line in December 2018, following production at Vivarail’s Long Marston depot in Warwickshire. The first of the new trains (230003), will begin testing over the next few weeks. Units 230004 and 230005 will be following shortly. The contract for the supply of the trains has now been signed. This is a significant stage of the project, showing commitment from both between West Midlands Trains and Vivarail. 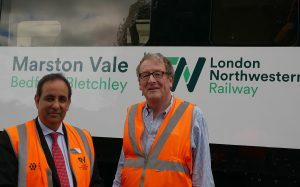 Jan Chaudry-van-de-Velde, managing director of West Midlands Trains said, “I remember these trains from when they were on London Underground, but looking around the units there’s so much new equipment on board that they look and feel like brand new trains. Vivarail has done a great job and these trains are an ideal match for this important local service. Adrian Shooter, CEO of Vivarail said, “Both Vivarail and West Midlands Trains have worked tirelessly to bring this to fruition and I am delighted to show what we have achieved. Everyone is pleased with the look and build quality and I’m very proud of the work my team has done. I am particularly impressed with the London Northwestern Railway livery and their interior designs – they certainly showcase the Class 230 and I think will be well received by Marston Vale’s passengers. 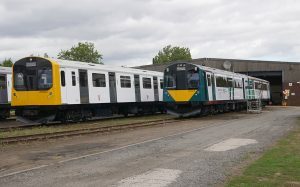 Vivarail will be supplying three two car trains to operate between Bedford and Bletchley. The trains will include universal access toilets, USB sockets and modern ‘airline’ seating. The trains will be supplied as diesel units, with the capability to convert to battery units in the future. Vivarail has designed the Class 230s to be quiet, green and clean, using automotive standards to reduce emissions and noise. The train’s engines will automatically cut-out in stations to ensure a comfortable passenger environment and further cut emissions. The lightweight aluminium bodyshell also means the train uses less fuel and the superior acceleration will ensure swift and comfortable journeys. The trains will be maintained at the Bletchley depot, creating new jobs in the local area.